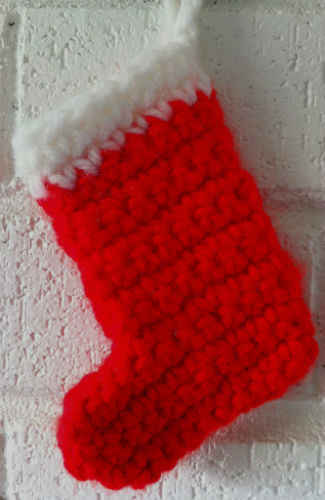 Here is another classic little crochet stocking that has been around for decades. 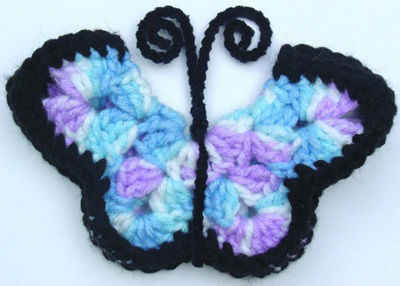 If you are a beginner, this pattern is definitely for you!!! You can make it so quick, and you will have instant gratification when you finish. These Mini Stockings are so quick and easy to make you will have a great time making several for gifts to give family and friends. 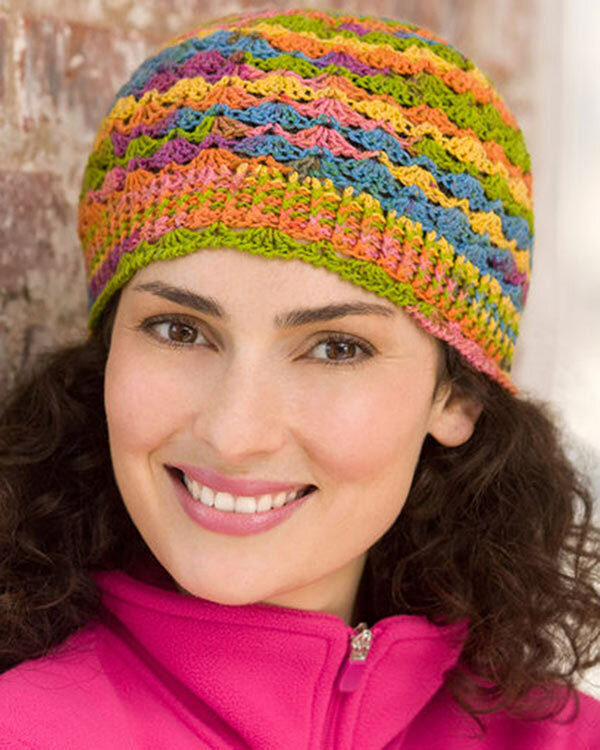 Think of all the scrap yarn you can use up too – remember – reuse and recycle. If you use a small size 10 crochet cotton thread with the same pattern the stocking will be small enough for earrings!!! 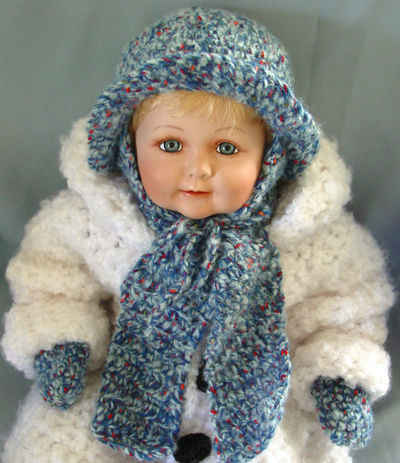 Materials: Bulky Yarn: Red & White. Crochet Hook: Size J-10 (6.00 mm) or size needed to obtain gauge. Rows 3-5: Ch 1, turn, sc in each sc across. Row 6: Ch 1, turn, sl st in first 4 sc, sc in next 14 sc. (14 sc) Leave remaining 4 sc unworked. Rows 7-13: Ch 1, turn, sc in each sc across. At the end of Row 13, Finish off Red and weave in ends. Rnd 1: With right side facing, join White with sc to center back of Boot, (sc in next sc) around; join with sl st to first sc. Rnd 2: Ch 1, sc in each sc around, ch 8; join with sl st to first sc. Finish off and weave in ends. This came out cute too.You are right this will make a great gifts.I have to get some boa wool to put a trim on the cuff now.Thanks a ton.God Bless. These are perfect as gift card holders!! thx for the pattern. Question on the Mini Christmas Stocking. On row6 it says to leave remaining 4 sc unworked. When starting to stitch the pattern together, there is only i side of the foot area. it doesn’t make a whole mini stocking in the foot area. Hope you understand. Please help. Thank you. edges except the top to get the stocking.